Here at Sacrewell we’re celebrating our most successful summer on record, following the announcement of an overall growth in the sector across the region last year. Last week, Visit England announced that visitor attractions in the East of England had the biggest increase in visitor numbers across the country in 2014, with heritage and farming attractions at the forefront with a 10 per cent rise. Sacrewell, which is part of the William Scott Abbott Trust, had record footfall numbers last year, but following the opening of its 18th Century grade II* listed watermill in July has increased its reach even further this year. 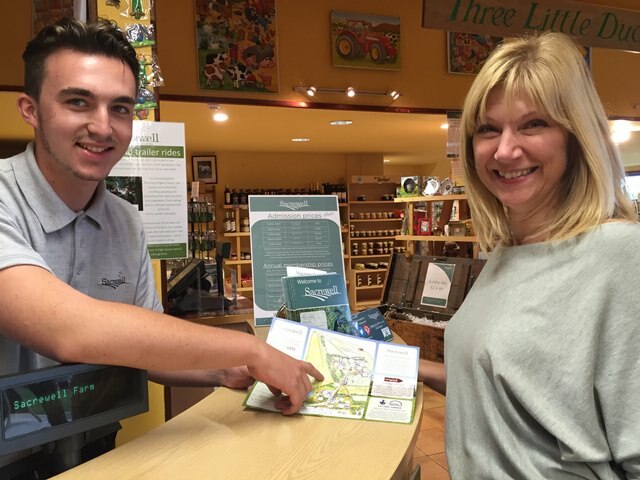 Marketing executive Megan Allen explains: “We welcomed 21,371 visitors through the door throughout the summer holidays this year, compared to 17,647 in the same time frame last year. Sacrewell puts the opening of the mill, as well as its fun and educational summer activities down to its popularity throughout the summer. “Having spent £1.8m restoring the watermill thanks to part-funding from the Heritage Lottery Fund, we really do offer something for all age groups. Adults are just as fascinated with the story of the mill as children are. It’s great to have captured everyone’s imaginations,” Megan added. As more farms diversify to become farm or heritage attractions, the regional growth is a testimony to the hard work put in by educational agricultural charities such as the William Scott Abbott Trust, which was formed 51 years ago. General manager Debbie Queen says the team are very proud in the increase in footfall and awareness of the charity and its aims. “I think the figures speak volumes toward what the team here achieves and having an attraction like the watermill only adds to the great offer we have here,” she said.